In search of a quick bite to eat on Irving, we headed to Naan N' Curry. Though it had been a while since my last visit, I remembered it as being decent and quick. Well, it was quick. Unfortunately the saag paneer lacked any flavor or spice whatsoever, but seemed freshly made. The lamb vindaloo was oily and full tough, chewy and gristle laden lamb. The daal was fine and I did not have a taste of the chicken tikka masala. 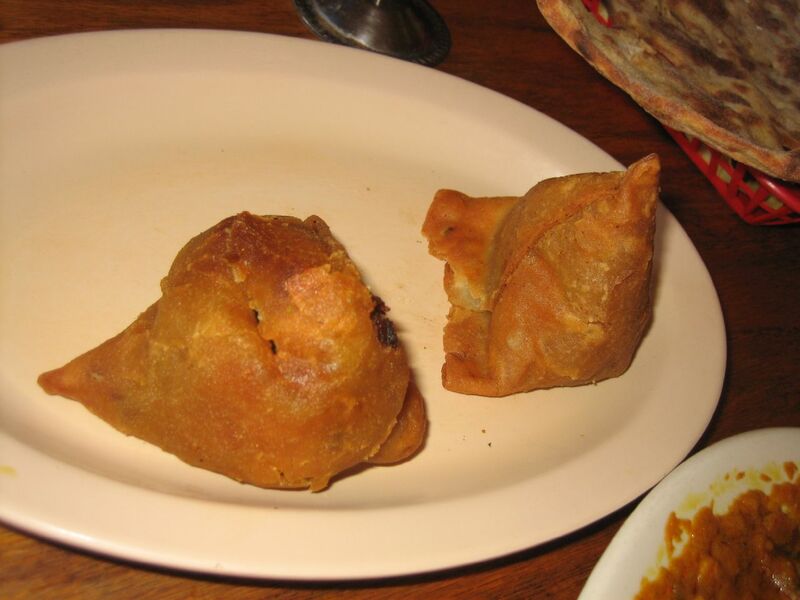 The most disappointing item was the samosas, which came to us with a completely soggy and soft outer "shell" as if they had been steamed (or most likely microwaved). The filling was fine, but inexcusable that the samosas were reheated, there were perhaps two other parties in the entire restaurant. In addition to naan, we ordered roti. The roti was terrible, completely burnt, cracker dry and really just seemed like an unleavened naan. I know that this chain makes its curries in bulk and essentially reheats them on the range, but there's no reason not to fry fresh samosas or make fresh roti when the restaurant is relatively empty. 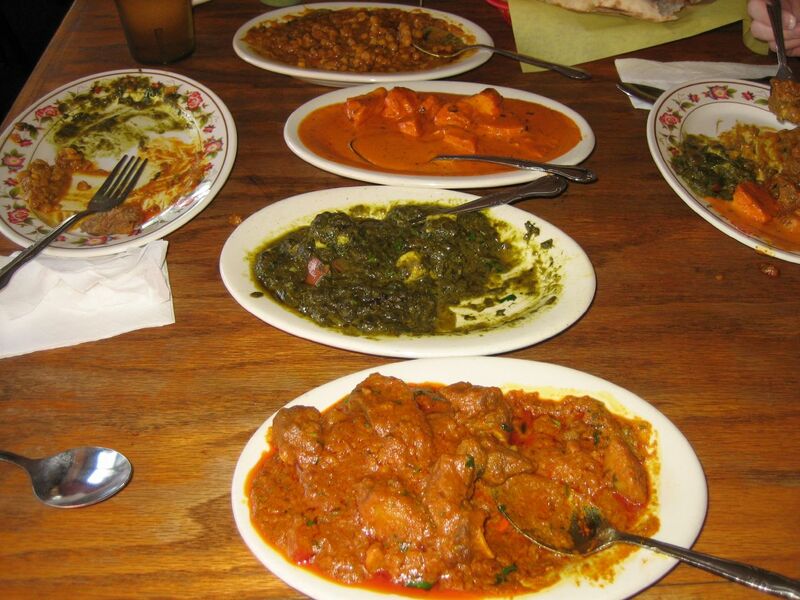 Perhaps I've been spoiled by my last Indian meal at Lahore Karahi, but I'll find another place for quick eats on Irving. If I ever return, I'll just stick with the daal and ask for an extra spicy saag paneer.